Heat oven to 375°F. Line large cookie sheet with cooking parchment paper. 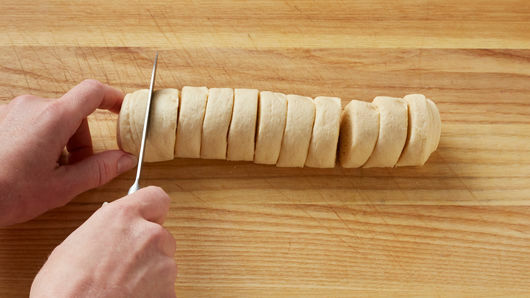 Remove dough from can; do not unroll. 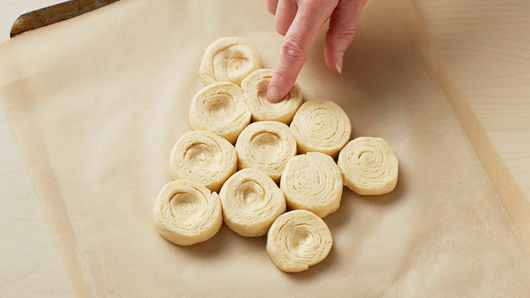 Using serrated knife, cut dough roll into 11 rounds. 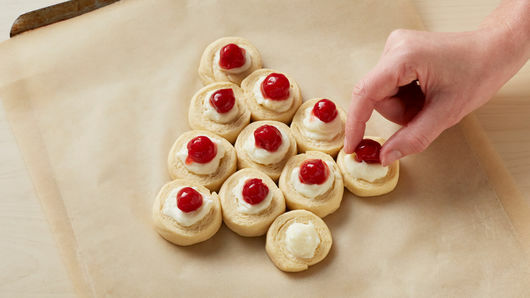 Using photo as a guide, arrange dough into shape of tree on cookie sheet, spacing slightly apart, and ending with one round for the base. Gently press middle of each round to create a well for topping. In small bowl, mix cream cheese, 1/4 cup powdered sugar and the almond extract with spoon until mixed well. Spoon 1 rounded teaspoon cream cheese mixture on center of each dough round, spreading slightly. Top each with 1 cherry. Bake 16 to 19 minutes or until golden brown and dough is baked through. In small bowl, mix 1/4 cup powdered sugar and 1 teaspoon of the milk, adding more as necessary for desired drizzling consistency. 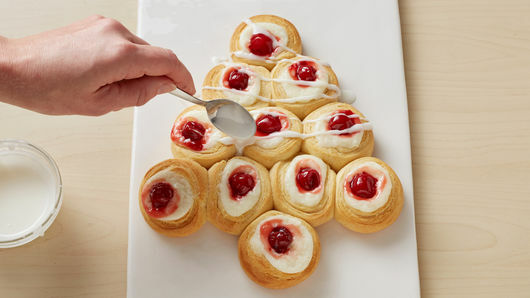 Drizzle topping on top of crescent tree, and serve warm. Use leftover cherry pie filling as a topping for ice cream, cake or brownies. 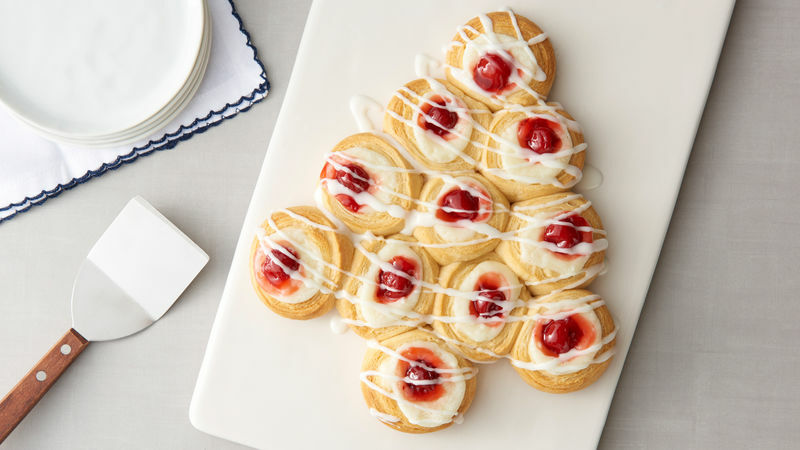 Danishes are best served the same day.